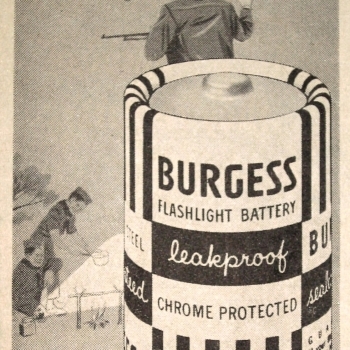 These were the most common batteries sold as radio "B" batteries for the pre-transistor portable vacuum tube radios because they were generally the cheapest and Burgess manufactured the largest variety of voltages and sizes. These radios commonly used 45V, 67-1/2V or 90V. Many were multi-voltage. Obviously they made the common D cell as well. My guess is that once the transistor radio obsoleted the low voltage vacuum tube, Burgess lost their specialty niche.